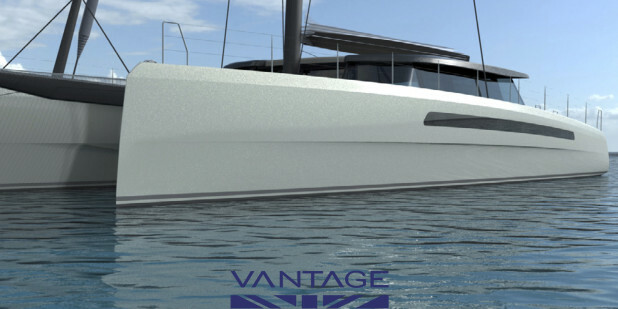 Vantage Catamarans are initiating the build of a Nigel Irens designed 26m fast global tourer. The yacht is aimed at the adventurers among us and while very light will have a decent payload for all that adventurous equipment. 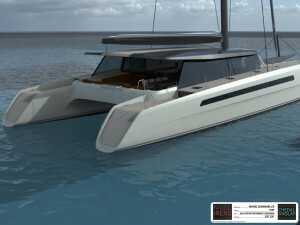 She will be capable of performing extended remote cruising periods, whether to access unridden reef breaks or dive a rarely visited drop-off. 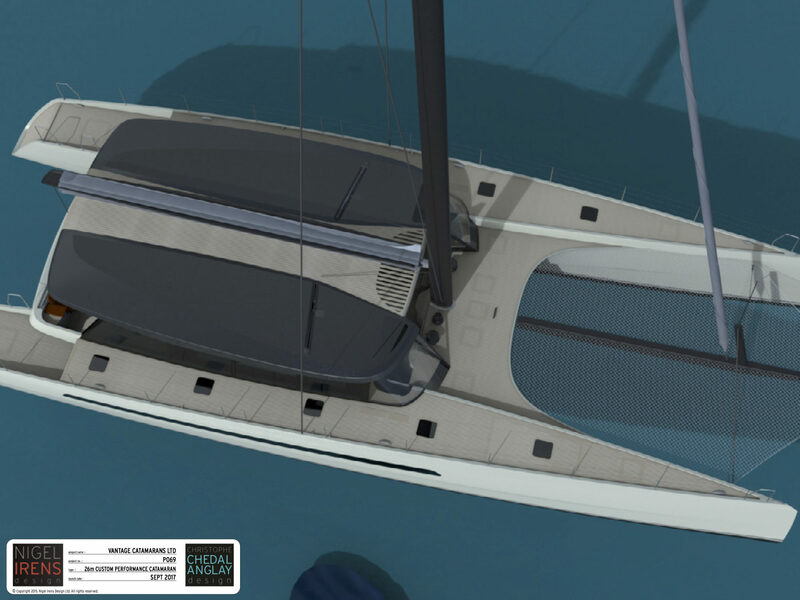 Once the anchor is up the full carbon build and very serious rig will see cruising speeds in the 20s and in race mode up to 35 knots. The British adventurer ordering hull number one has personalised his boat thoroughly including being able to carry 3 motorbikes in a dedicated toy locker. He plans to use the yacht to gain access to some remote but epic rides. It’s a project that seems quite sure of itself -a boat that capable? That fast? That light? Built within MGN 280? This isn’t just drawings and aspiration, this is a team put together to make things work. A veritable Who’s Who of catamarans, from Nigel Irens on the pencil to Brian Thompson on the wheel with a sandwich of the best in their field in between. These guys mean business.